Are you looking for a child support attorney in Northern NJ? 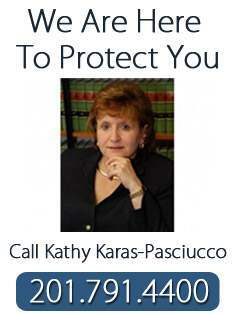 Kathy Karas-Pasciucco of Feitlin, Youngman, Karas & Gerson has been a child support attorney in Northern NJ for many years. Child support is typically determined by inserting numbers into a computer program known as the child support guidelines. There are spots in this package for you to insert items such as health insurance premiums for the children and work related child care. In addition, the amount of overnights the non-custodial parent enjoys with the children is also utilized. Once each parent’s income is inserted together with the other charges, the program spits out a weekly child support figure which is then utilized for purposes of calculating child support. In a collaborative divorce the parties, in an effort to be amicable, can agree to figures for child support that are different than those that are found in the guidelines. The idea is to address the needs of the family so that each party and the children are comfortable with the amounts being paid and received. In a conventional divorce it is not uncommon for the parties to create the child support guidelines and live by them notwithstanding the fact that the amount is either not enough to compensate the custodial parent or is too high for the paying spouse to keep afford. It becomes difficult when one or both parents are self-employed in that it is difficult to agree upon a number when you are not guaranteed that you will receive that amount each year. In my experience, a Collaborative divorce setting deals with these issues and allows both parties fears to be heard and addressed. It is not only the paying spouse who experiences problems. The parent receiving child support may also find it extremely difficult to raise children using the amounts set forth in the guidelines. This may be because the parents typically did without in order to allocate the lion’s share of the money to their children or it may be because the parties were living beyond their means which will now effect the children born of the marriage. Whatever the reason, these are complex issues that are best dealt with by both parties in a collaborative setting. On the other hand, if your case is contentious, we are experienced litigators and are able to advocate on your behalf to work toward the results you are seeking. Child support can be paid by direct payment from one spouse to the other. Child support can be paid via wage garnishment from the paycheck of the paying spouse. Child support can be paid by direct payment to the probation department.